U.S. 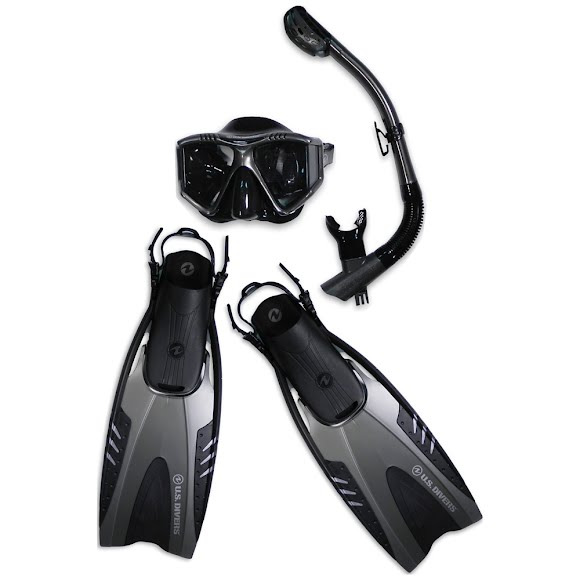 Divers snorkeling sets combine the best mask for snorkeling, snorkel, and snorkeling fins with the most advanced technologies available. All in a reusable, eco-friendly, storage bag that easily fits in your carry-on luggage for your next vacation or trip to the Caribbean, Hawaii, Florida, or your local beach!